Andrew is the youngest in the family. He attends Conestoga College in Cambridge with plans to become a Mechanical Engineer. He was Home Schooled by his father for four years before he went to Ponsonby. 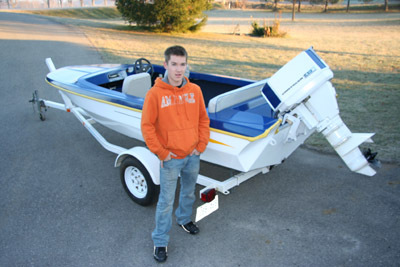 He enjoys school, loves snowmobiling, water skiing, driving his go-Kart and boating. 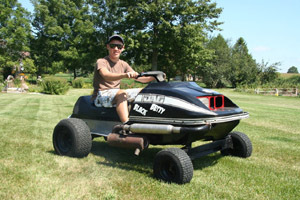 He has recently restored a 1974 Chrysler Runnabout boat, modified the suspension on a 1992 Polaris Indy, and has designed and rebuilt a 1976 Jag snowmobile into a four wheel "Black Betty".